We are pleased to provide fast and effective freezer repair in Newark, New Jersey. Our experienced techs will fix all freezer makes and models. Our appliance experts are focused and detail-oriented. You can expect us to be reliable, friendly, and polite. Every member of our staff will help you get the service you need. We will put our know-how and skills to work for you. Don’t let your broken freezer thaw out. Call us now for same day repair service! 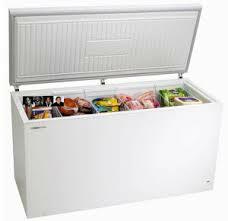 Our company offers the best freezers service in the area. You could go a day or two without some appliances. You could go a day without washing clothes or using your dishwasher. But you can’t go without your freezer. This appliance is used to keep your food frozen. When the unit stops working; the temperature starts rising. Your food could thaw out and spoil. A great deal of money could be lost. Don’t let this happen to you. Contact Newark Appliance Repair the moment you realize your appliance stopped working. Did your freezer stop working? You need a company that can provide fast and accurate freezer repairs. Our service is super fast and affordable too. We stock our work vans with plenty of quality replacement parts to ensure faster service. Our techs are always prompt and prepared to complete the job in a hurry. We service all freezer brands. We offer the most effective commercial freezer repair possible. Nobody services these appliances like we do! We are proud to offer the most efficient Newark freezer repair service in town. Every tech on our team is devoted to customer care. You can trust us to take great care of your appliances. We offer great service for ice makers and freezer units, but we service all home appliances. Choose us for your appliance repair needs!